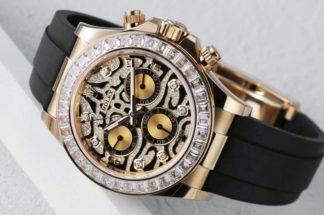 The first thing that strikes you when you flip through the Phillips Hong Kong Watch Auction: Six catalog is the sheer amount of vintage pieces listed in it. The Phillips Watches Hong Kong catalog has always been quite skewed towards contemporary. But with the rising interest in vintage within the Asian market, this current assembly is, no doubt, a measured move. 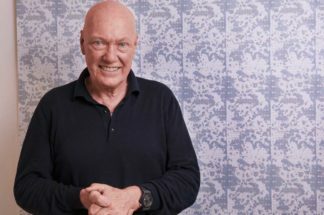 Phillips’ new Head of Watches, Asia, Thomas Perazzi confirms this, saying that the team has, as a matter of fact, observed this trend. As a result, the catalog that has been put together for Spring 2018 in Hong Kong, includes more than 60% vintage. From a “Double Red” Sea-Dweller (lot 819), to several key reference Paul Newman Daytonas, a “Big Red” 6263 (lot 822) and even a 6542 GMT-Master (lot 952) — with its bakelite bezel still intact — the headliners are aplenty. Quickly going back to that 6542, the example on hand is possibly a unique execution, since the 6542 has never previously been seen in a “destro” configuration. Patek, too, has a few heavy hitters, with a 1945 yellow gold 1518 (lot 985) and a 1959 pink gold 2438/1 (lot 864) in the mix. Of course, a skew towards vintage doesn’t mean that the contemporary pieces have taken a back seat. 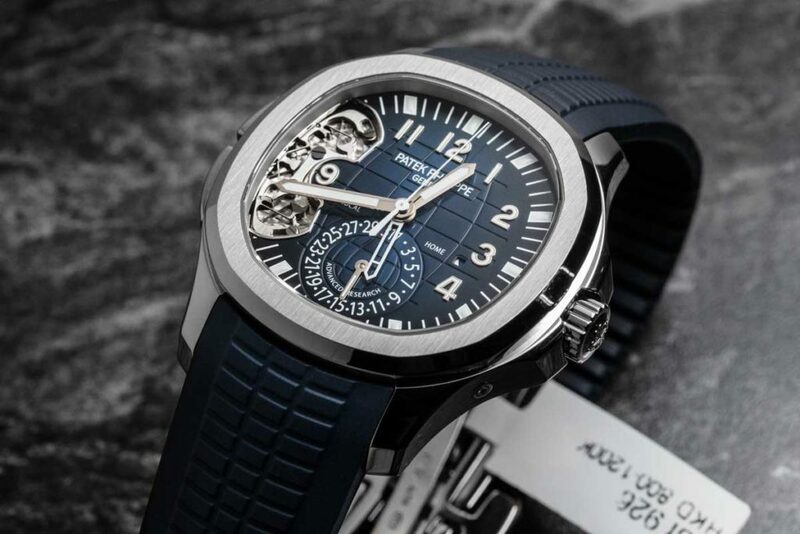 Case in point: The Advanced Research Aquanaut Travel Time ref. 5650G-001. Never mind that this is the first instance of the watch that’s come to a public auction, more important that Phillips has managed to snag one for their catalogs no more than a year since it was launched. 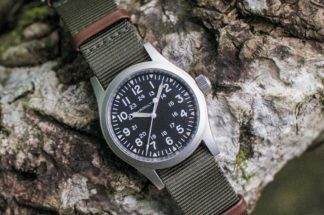 Hopping right back to vintage, here’s one other watch that deserves a massive bit of highlight. 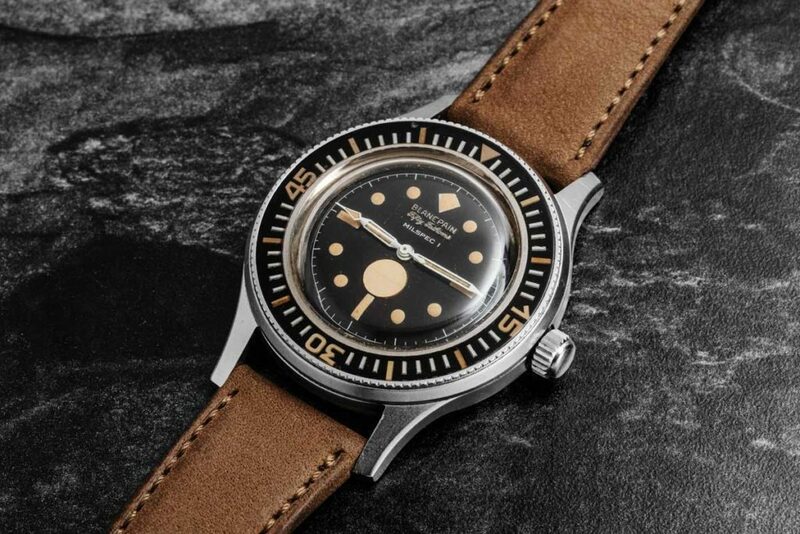 And that is lot 936, a 1968 Fifty Fathoms, Milspec 1 with its Rayville S. A. case, movement and bakelite bezel in surprising condition. The dial elements have all taken on an understandable peach colored patina but are most importantly — including the signature humidity indicator — all intact. Our last point of discussion, has to be Omega. Given the way in which the brand has become so open in recent years to share from deep within their archives, collectors are now able to educate themselves about vintage Omega better than ever before. Which in turn has instilled confidence in buyers looking at Omega watches that maybe more than half a century old. 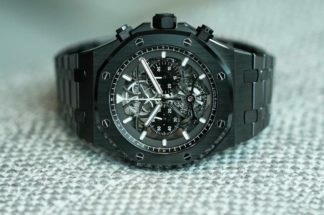 Of course, all of this is also helped by the records Phillips has set in recent days, first with the prototype tourbillon last year and then the Elvis watch at Geneva Watch Auction: Seven. The few Omegas gathered now include an exceptional Seamaster 1000 Prototype, from 1974, and mostly a motherload of Speedmasters. So here are four Speedies to keep an eye on, based on their importance in the entire Speedmaster epic and also because at current estimates, all of these are bloody steals. You know that Silver Snoopy with the white dial that sold out, in 2015, long before it hit the showcases? 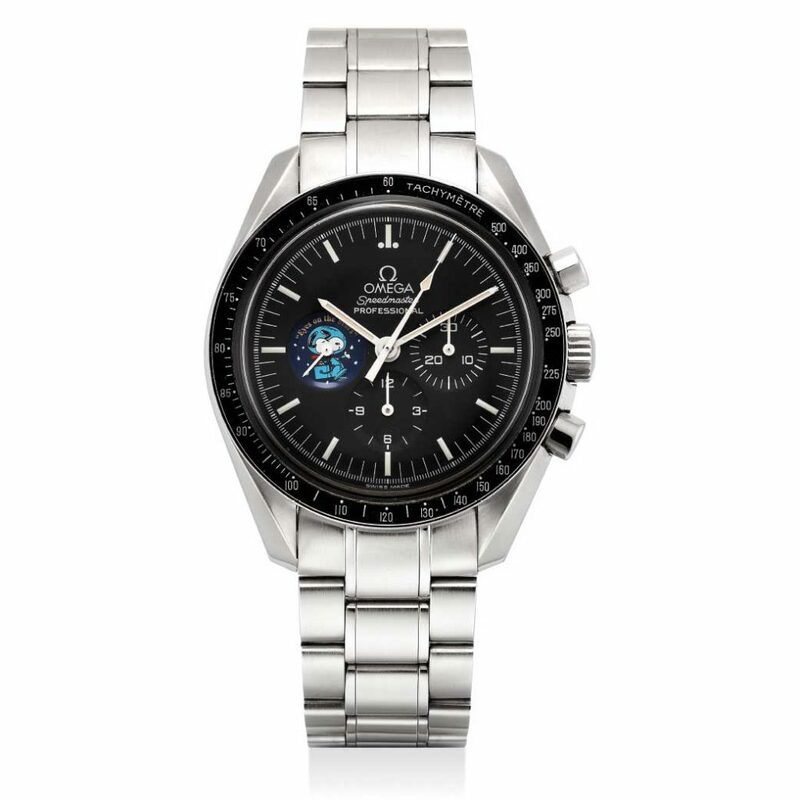 Well, here is the OG Speedmaster Snoopy that was issued in 2003, commemorating the “Silver Snoopy Award” that Omega received in 1970, for how the Speedmaster ended up being a crucial instrument in helping to get the Apollo 13 crew safely home. 5441 pieces of this one was made and this is number 4118. 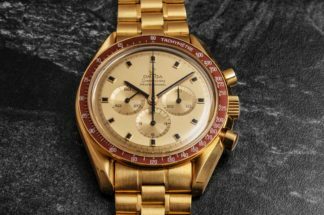 Considering the importance of the Snoopy Award and what it means in the complete story of the Speedmaster, this is one for any self-respecting Speedy collector. Bid while you can, it’s not like these come up for sale very often. I shouldn’t bother to make my case for this watch here in a few lines. 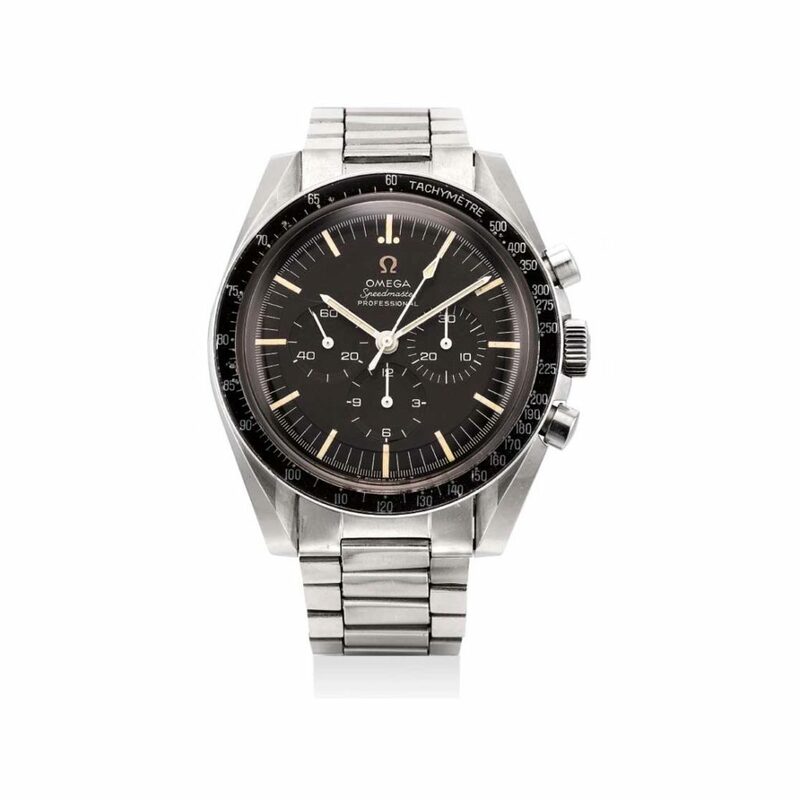 Our resident Speedmaster addict, Wei Koh will make more than a case for this watch, for you, in his article here. 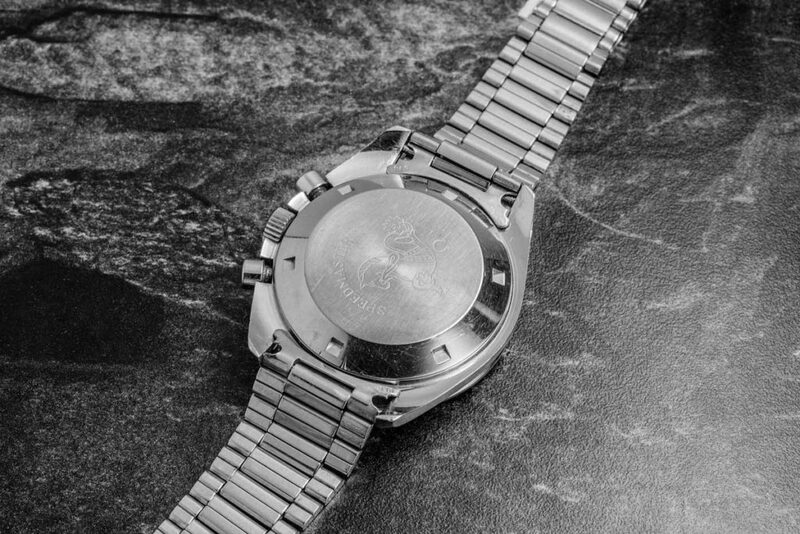 But if I may, this special 1969 watch was issued by Omega in celebrating the successful Apollo 11 mission. 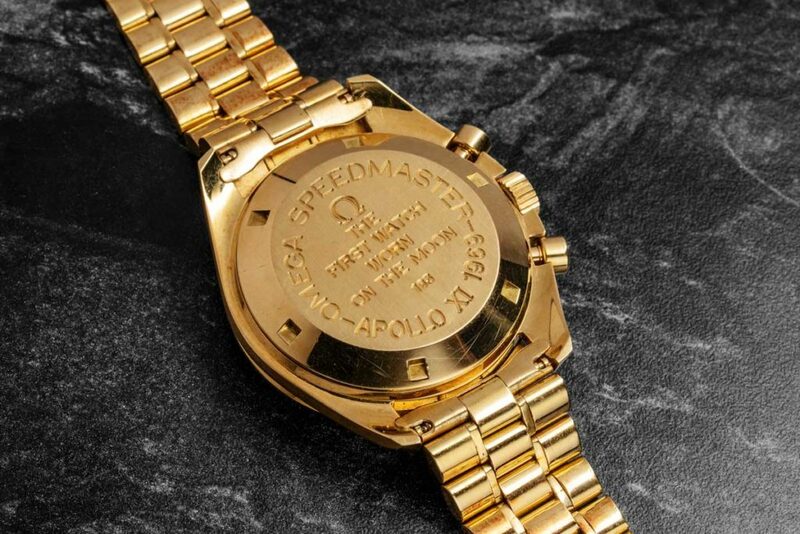 And it was the first Speedmaster made in solid gold. 1041 of these were made, with a good number given to astronauts and those closely involved with the Apollo mission. Numbers 33 – 1000 were, however, made available to the public. This is piece number 163. Rarity and the challenge of finding one in good condition aside, as low as the estimate sounds, it starts to sound more like you’re about to lowball Phillips, when you think about the fact this watch essentially a solid chunk of yellow gold — bracelet and all. 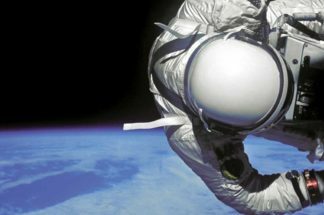 The Speedmasters that NASA ultimately equipped the Apollo astronauts with included the ST105.003, ST105.012 and ST145.012. So if we’re getting serious about collecting moon watches, then these are references that you’ve gotta be on the lookout for. 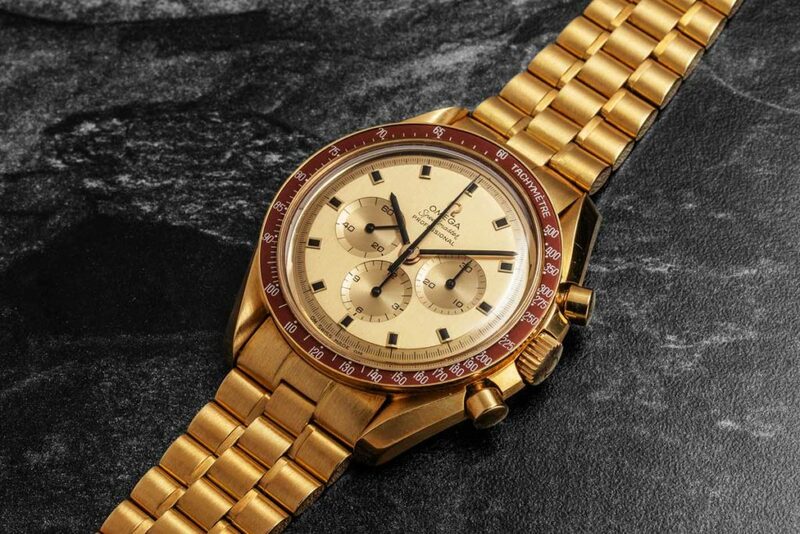 Think about it this way: There was a point in time when the “Paul Newman” Daytonas, were listed in auction books with US$10,000-20,000 estimates. 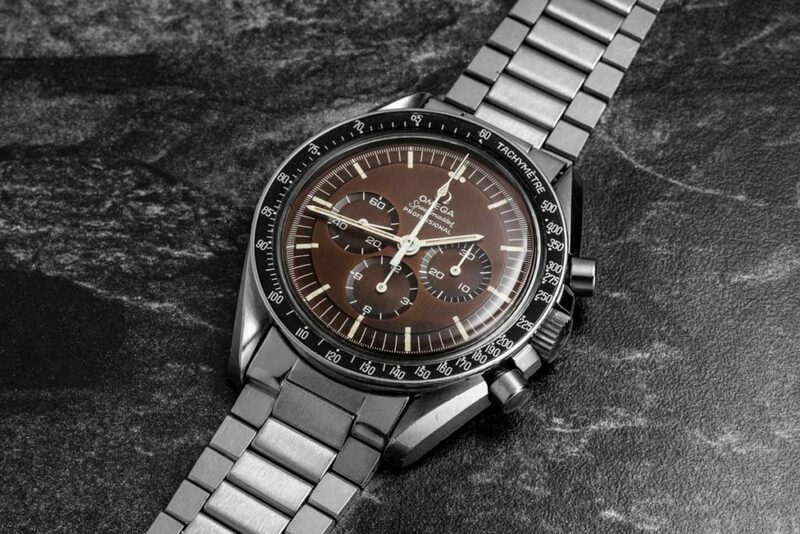 If I may be so bold — for the Speedmaster moon watches, this is that point in time. Remember ref. ST145.012 mentioned earlier? Well, the 145.022-69ST is the succeeding generation updated with the cam actuated chronograph caliber 861, from the column wheel chronograph caliber 321. But, why is it that this is the one with the highest estimate of the four in the round up? Here’s how we can make sense of this. You see, when we talk about the other two big names in the auction markets — Patek and Rolex — look hard enough and you’re bound to find early references in decent condition, because they’ve always been worn and used with a certain sense of reverence. Early Speedmasters, on the other hand, were the working man’s watch; worn solely for utility. No one was being cautious and dainty about wearing a Speedmaster. As a result, today when you look for an early Speedy, the condition of what you find can be quite the challenge. So when you find one in remarkable condition, that has had time to develop the most even, deep shade of chocolate patina; it is your lucky day. For more, check out Revolution Hong Kong Digital Editor, Kevin Cureau’s video interview with Thomas Perazzi, here.